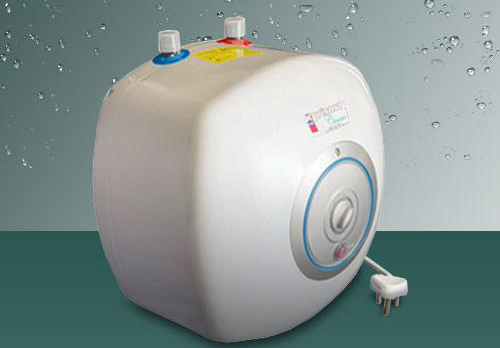 Induction geyser are fairly new to the market but are a good way to reduce your bill. 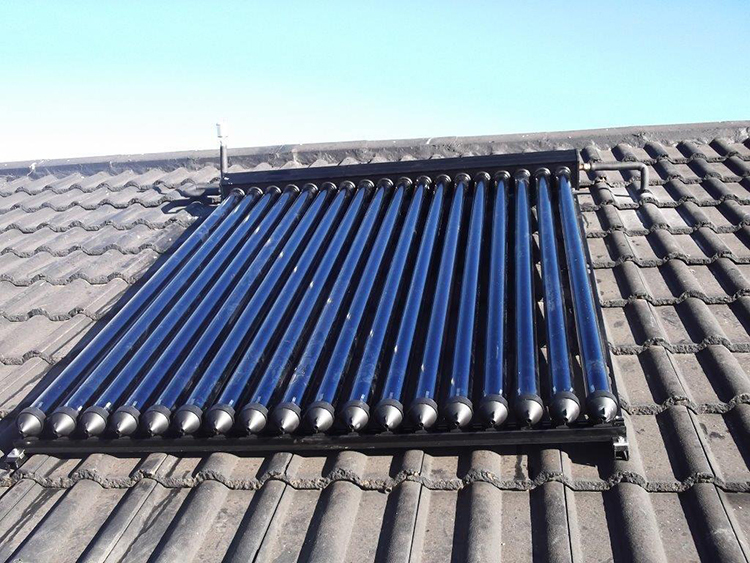 We suggest induction geysers be installed where solar geysers and heat pumps cannot be installed or where the cost of installing Solar or heat pump technology is too high. The induction geyser works with magnetic plates. The tank holds a smaller volume of water in comparison to a standard geyser but heats water faster and with 30% less energy. 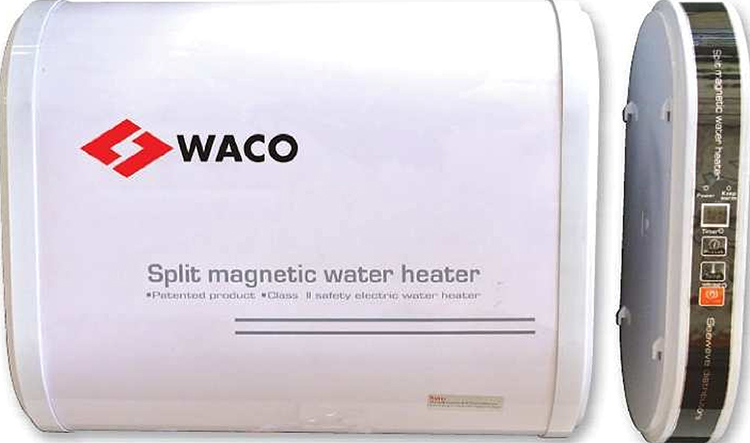 This installation is ideal for flats and staff quarters or where water is not used frequently. The requirements for this geyser type are the same as a standard electrical geyser as far as plumbing and power requirements and the cost is similar to a standard electrical geyser. 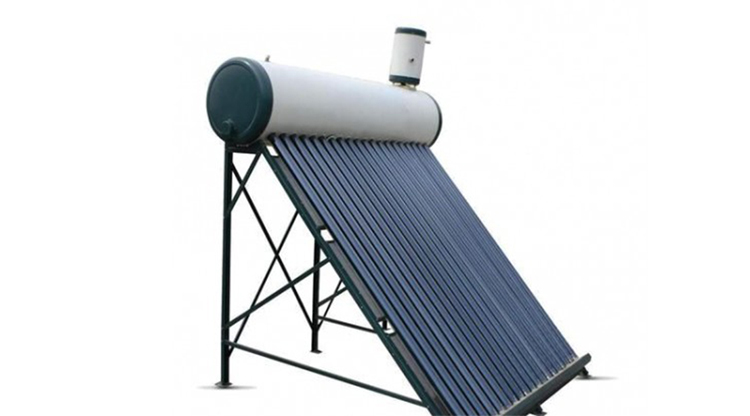 A low pressure solar water heating system has been designed to be both cost effective practical and efficient. These systems operate at a pressure caused by gravity or the height at which they site above the outlet of your tap determines the pressure you will receive. The system has been designed with a toilet system mechanism on the side which converts high pressure water gravity pressure to ensure the tank wont be pressurized. These systems work well in outlying areas, low cost housing and areas where pressure isn’t a concern or achievable. This system is for a places where minimal hot water is required or minimal water is required less frequently. A speed-heat or quikboil system can be used for a guest kitchen heating system, staff shower for a single person. If you has a holiday hoime and very simple heating solution would be required then this would be an option. A retrofit in any application is where something is added onto an existing product or installation. And the same in this case where we use your existing geyser. This is the most cost effective way to have solar in your home or office. A 12v pump or a 220v pump is used to circulate the water between the geyser and the collector. Very efficient as the water wont circulate until the optimal time or heat. 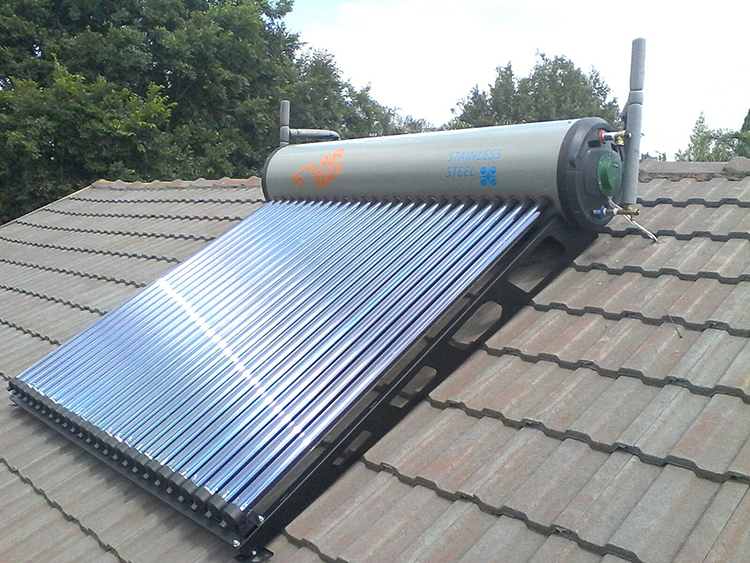 When the geyser burst your insurance will replace it and at this time you can opt for the Solar tank. All the pipes are lagged and the tank wrapped with a geyser blanket. This system saves as much as a new system but pays itself back quicker. This system has electrical backup for days when the weather is not great or if additional hot water is required. This system type is for new builds mainly or when your geyser is packing up. The split active direct in the system name is for the geyser being inside the ceiling void and split the collector and geyser with the roof. The system is also a direct system which means the water that flows through the collector and geyser will be the same water that come out of your taps. Local geyser manufacturers offer guarantees on new geysers of up to 10 years. The aesthetics of your building or house are retained as only the collector is viable. Thermosiphon is the process where by Hot water rises as it becomes less dense and the colder more dense water sinks. 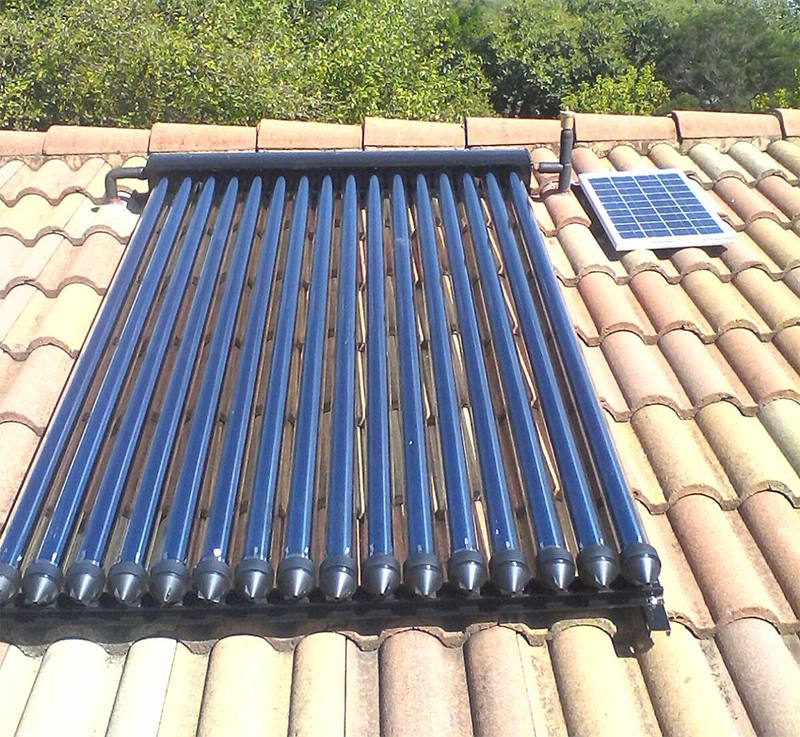 This natural circulation process in solar water heating allows the heated water to rise up into the geyser and the colder water to sink into the solar collector where it is then heated. This system does not require a pump. The geyser and collector are both outside on the roof and the geyser has to be above the collector. This system has less moving parts then a pumped system and can work off grid if required. Local suppliers offer a 10 year guarantee on the system as a whole and so the longevity of this system type is best in comparison to other system types.